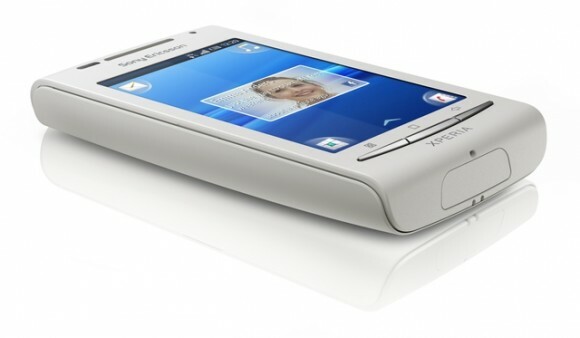 Looks like we have some images of the Sony Ericsson XPERIA X8 have popped up over the interwebs. The yet unannouncedÂ phone seems to site between the flagship XPERIA X10 and its littleÂ sibling, the XPERIA X10 mini. We don’t have a lot of details about the device other than the info we can glean from the photos. Apparently, its running Sony Ericsson’s custom TimeScape UI on Android (probably 1.x I believe), and has a larger screen than the X10 mini though the camera lacks any sort of flash. It has three physical buttons beneath with a dedicated camera key and volume rocker on the sides. The device looks pretty thick judging from the photos but I can’t make any final comments until we have any official specificationsÂ available. Hit up the source link for some more shots of the device. I’ll update when more information becomesÂ available. Ran 15 queries in 0.138 seconds.